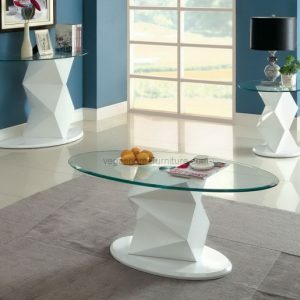 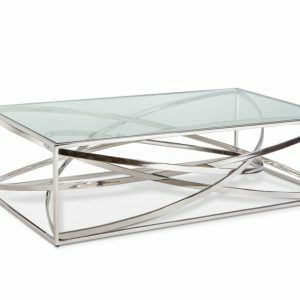 Accessorize your living room with this unique table. 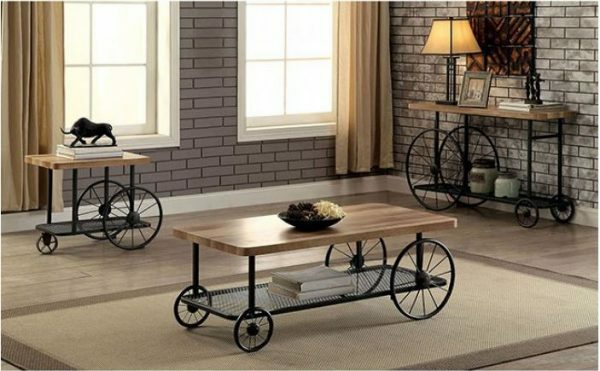 The metal frame offers timeless stability while emphasizing the industrial styled, fixed bicycle wheels. 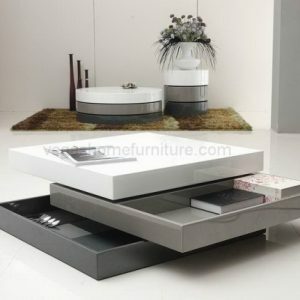 A sawblade design adorns the thick tabletop while wired bottom shelves offer ample storage space. 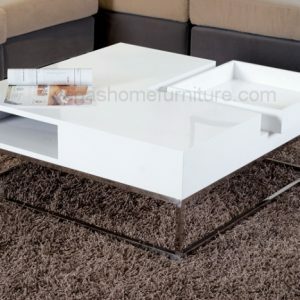 This charming table showcases urban designs and is the perfect fit for a stylish apartment or loft!